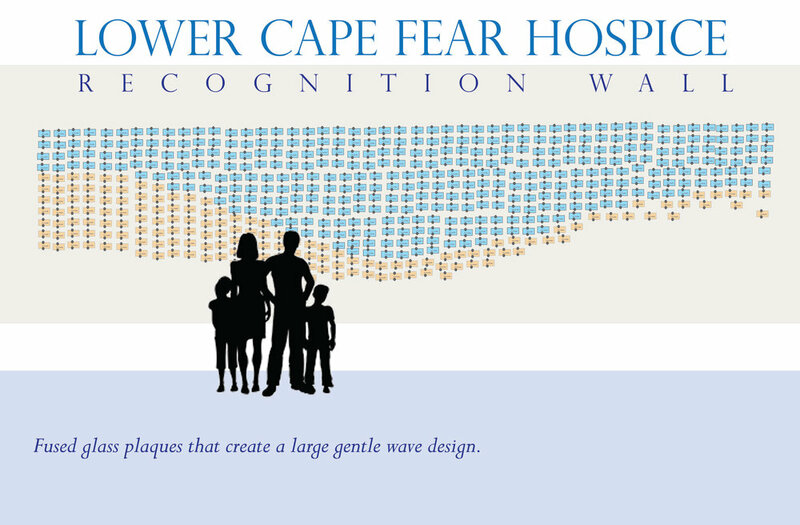 Lower Cape Fear Hospice wanted a design that echoed the coastal elements surrounding the facility. The design is comprised of blue, representing sky and water while the gold represents sand. Each glass tile is kiln-formed and hand-painted with donor names etched into the glass. The hardware is stainless steel. New names are added to tiles as donations are received and the glass is installed in a free flowing wave-like pattern.